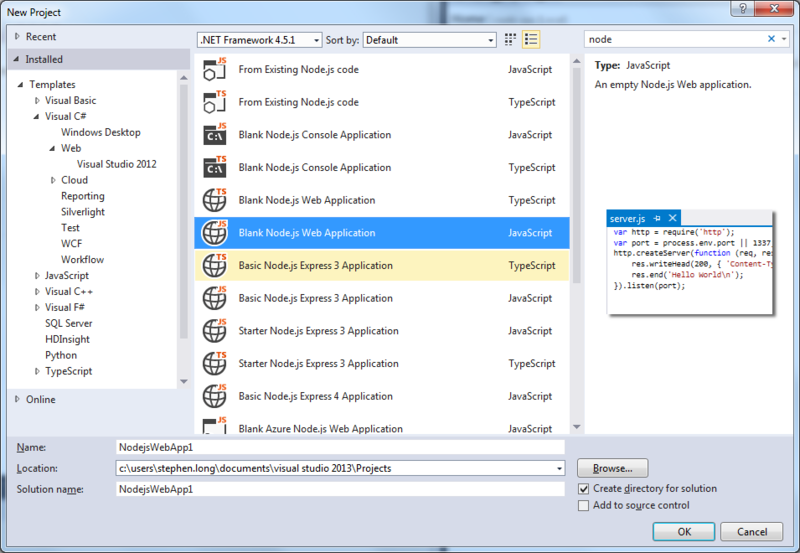 Fortunately, Microsoft has provided nice tooling for Node.js and Visual Studio. I recently pulled down the Microsoft Node.js tools that adds templates, intellisense, and the ability to run Node from within the Visual Studio debugger. After pulling down these tools, getting a ‘Hello World’ example running is immediate. 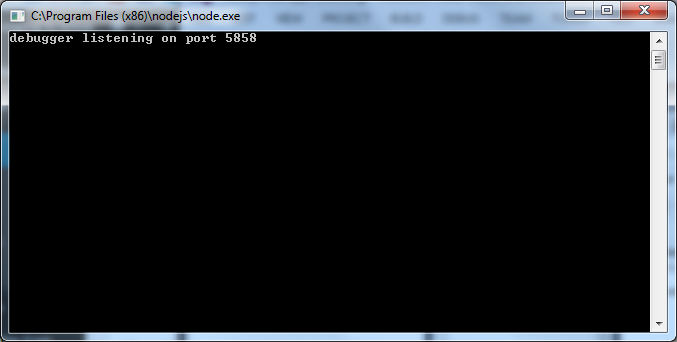 I started with the “Blank Node.js Web Application.” Hitting F5 brings up the Node.js console and displays our defined ‘Hello World’ end-point in our browser. This code is using Node’s module dependency resolver to require/load ‘http,’ and then spins up a server on the specified port. For every request, the response is just ‘Hello World.’ With this in place, we can inspect the request and effectively define routes that we want to respond to in a fairly straight forward manner. Imagine if I wanted to create a RESTful customer API. I could handle this by inspecting the request object’s url and respond accordingly. For my baby-steps API, I’m going to only respond to (3) different requests and error out on any others. Ok, this isn’t too earth shattering, but I am impressed by how easily I was able to get this up and running, and with minimal effort. Next post, I’ll start looking at doing something more useful. I imagine creating a jsFiddle to take advantage of a Node-driven API would make for a nice workflow for demo purposes.